The National Environment Agency (NEA) on Monday (Aug 24) called a tender to collect and transport food waste to a facility for treatment, as part of a pilot project. The appointed organisations will collect segregated food waste from areas such as the Clementi region and send it to a facility at Ulu Pandan Water Reclamation Plant. The places where food waste will be collected from include Ngee Ann Polytechnic, National University of Singapore, Pasir Panjang Wholesale Centre and Kranji Camp, said NEA. 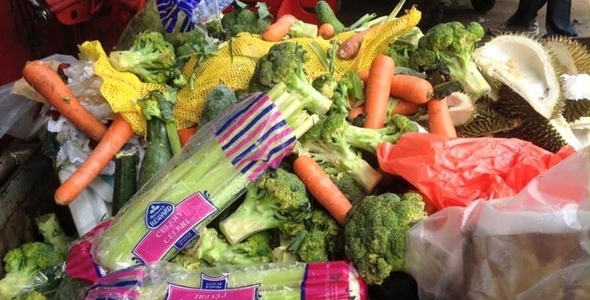 Nine out of 10 people here are concerned about Singapore’s food waste, a new survey has found. The majority also want food and beverage (F&B) companies here to donate their unsold and near-expiry food that is safe to eat to the needy or sell it at a discount. Students from the National University of Singapore’s Chua Thian Poh Community Leadership Programme, working with new non-profit group Zero Waste SG, conducted the online survey from February to April this year.